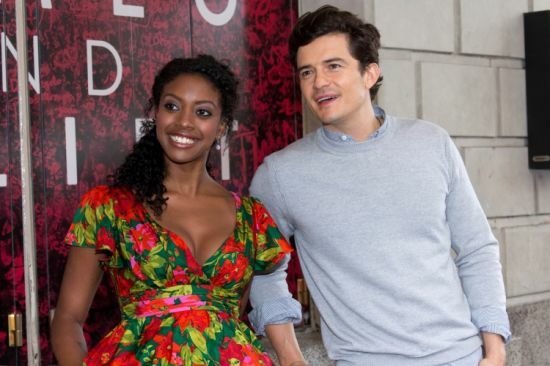 "Condola Rashad and Orlando Bloom attend the Romeo and Juliet photocall at Richard Rodger Theatre on August 7, 2013 in New York City"
Here are some of the photos - the rest are in the Gallerie. There are also two short video clips on the Romeo and Juliet Facebook page here and here. Check out the CBS video interview here. Thanks for all the goodies, Rene. The pictures are wonderful, and the videos a real treat. I especially love the photos. Orlando and Condola look to have the chemistry they need for the show. 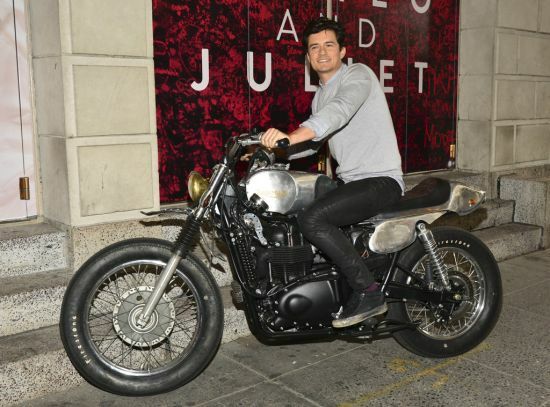 The video of Orlando riding up on the motorcycle really gets the blood pumping, doesn't it? 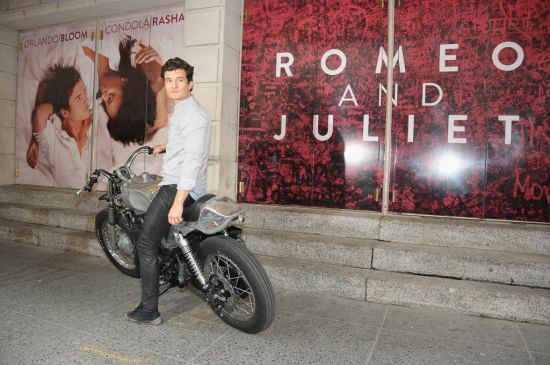 I'm so excited for Orlando making his Broadway debut at Romeo. Thank you Rene for all your hard work posting these treats for us. I feel spoiled! Thank you so much, Sunstar, for posting all the wonderful pictures, the videos and the interview. 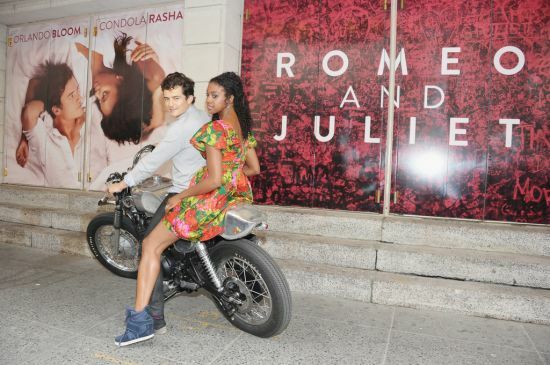 I wish I could see Romeo and Juliet on Broadway. Thanks, Rene. They both look terrific. On a completely shallow note, I'm loving the longer curly hair. Scrumptious pictures Sunstar, thanks for all the goodies. I wish I could see this production, it is obviously going to be good!. 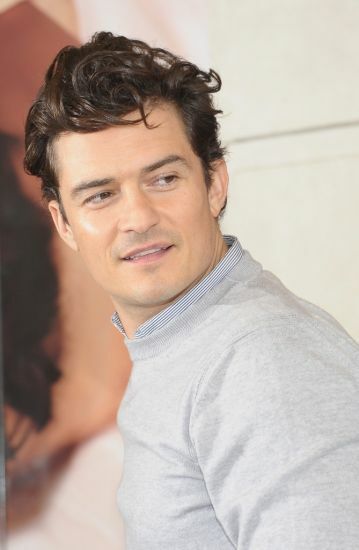 I love the pictures of Orlando and Condola, they look great together. I also enjoyed the video clips and the interview, I am not surprised about Orlando already feeling the butterflies but I know without a doubt he will bring down the house with great performances. Thank you very much Rene for posting everything. Why, oh why is New York that far away! I'd love to be there and be able to see them on stage. They make a lovely couple and I wish them all the success for the show. Thanks for the pictures and videos, Rene. !